The Oppo Reno 10x Zoom is equipped with a Qualcomm Snapdragon 855 processor. 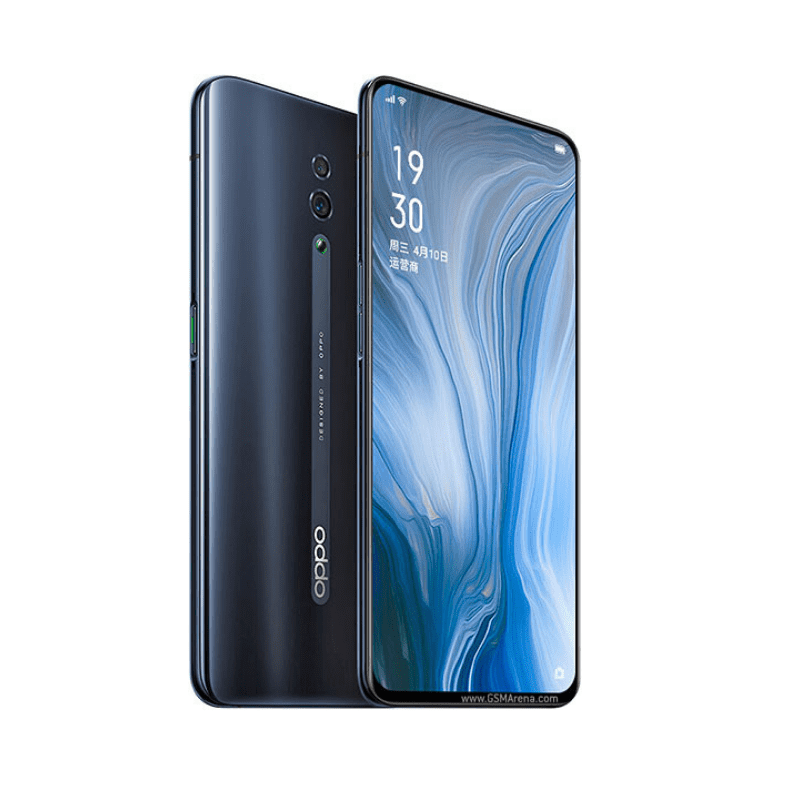 The Oppo Reno 10x Zoom comes with 6/8 GB of RAM and 128/256 GB of internal memory which can be expanded via a microSD. The smartphone runs ColorOS 6 (Android 9.0 Pie). The phone powered by a non-removable Li-Polymer 4065 mAh battery with fast charging through a USB type-c port and (5 V / 2 A and 10 V / 5 A) charger output power. The Oppo Reno 10x Zoom boasts of three rear cameras, 48-megapixels main rear camera (Sony IMX586 Exmor RS) with f/1.7 aperture, 10x hybrid optical zoom, 4-in-1 pixel binning, contrast autofocus, dual OIS and 6-elemment lens. A 13-megapixels (telephoto) second rear camera with f/3.0 aperture and periscope zoom system and 8-megapixels (ultra-wide angle) with f/2.2 aperture and 120 degree wide-angle lens which is used for depth information. The pop-up front camera is 16-megapixels with f/2 aperture, 79.3 wide-angle lens and face unlock. The Phone is available in two colors (Black and Green). The smartphone comes with a 6.6-inch AMOLED display with screen resolution 1080 x 2340, corning gorilla glass 6, 60000:1 contrast ratio, 430 cd/m square, 100 % NTSC and 85.78 % display area. The dimensions of the phone are 77.2 x 162 x 9.3 mm and weight are 210 g. The Phone costs 600 $ for 6 GB RAM/ 128 GB version, 670 $ for 6 GB / 256 GB version and 710 $ 8 GB / 256 GB version.